Lando Norris acknowledges he will have to prove he is deserving of his F1 chance with McLaren in 2019. New McLaren Formula 1 driver Lando Norris says he will have to prove he is “worthy” of a spot on the 2019 grid during his rookie campaign. 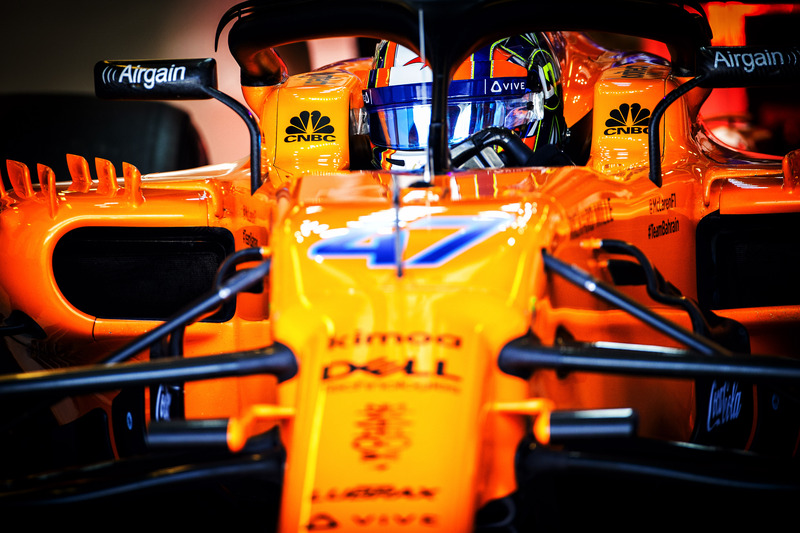 The Briton has replaced the outgoing Stoffel Vandoorne in McLaren’s revised driver line-up for the upcoming season, partnering Carlos Sainz, who in turn takes the seat vacated by Fernando Alonso. Norris heads into his debut F1 season with great hype and expectation surrounding him following a stellar junior career in which he has claimed five titles in just four years of single-seater racing. “I need to do well and show I’m a worthy driver in F1,” Norris said. “I guess for every driver the aim is to beat their teammate. In the ideal world, if I was perfect, I’d be able to beat every teammate that I have, in every race. “That’s very unlikely to happen, I’m not going to be in that situation. There’s things i’m going to need to learn from Carlos [Sainz] and different drivers and improve as a driver. - IS SEIDL THE MISSING PIECE IN MCLAREN's F1 JIGSAW? “There’s definitely going to be things that I’m not very good at, things I can improve. “Of course I want to be able to beat him in some races but it’s very unlikely someone will thrash their teammate every race. “It’s my learning year, first year of hopefully many. I want to do well but I need to learn and make progress to become a better driver. “In the ideal world I will be able to do well and beat everyone in every race but that’s just a vision." 2018 marked the first year Norris has failed to win a championship since switching to single-seaters, having missed out on the Formula 2 crown to Mercedes F1 protege and new Williams signing George Russell. The 19-year-old admitted his rookie F2 campaign taught him to lower his expectations and believes a tough campaign that heralded just a single race win will serve him well as he prepares to join McLaren’s recovery effort, with the Woking squad fielding one of the worst cars on the grid in 2018 on its way to finishing sixth in the constructors’ championship. Asked if he has found it difficult to reset his expectations, Norris replied: “In some ways. To be honest I didn’t win the championship last year so it was good enough to learn that I can’t always win. “I don’t mean to be arrogant in any way but I’ve always been at good teams, be able to have good people around me and that has helped me become a better driver and win races and championships. “I have been able to experience different things to other drivers but F1 is very different. Every year there is big changes and you can’t always be where you want to be.